Last summer, we learned that the Beastie Boys' Adam "Ad-Rock" Horowitz was rumoured to be starring in While We're Young, a new film from beloved indie director Noah Baumbach, alongside Ben Stiller. Not only is that news now confirmed, but the film also has a noteworthy score composer in one James Murphy. The preliminary announcements for this year's Toronto International Film Festival included news about While We're Young. While details are scarce, The Film Stage pointed out [via Spin] that While We're Young will feature a new score from the former LCD Soundsystem member and DFA Records mastermind. The film follows "a middle-aged couple whose career and marriage are over-turned when a disarming young couple enters their lives." In addition to Ad-Rock and Stiller, the film will include roles from Naomi Watts, Amanda Seyfried, Adam Driver and Charles Grodin. While We're Young will screen at TIFF this year. James Murphy previously worked with Noah Baumbach on the soundtrack to his 2010 film Greenberg, providing 30 minutes of original music. 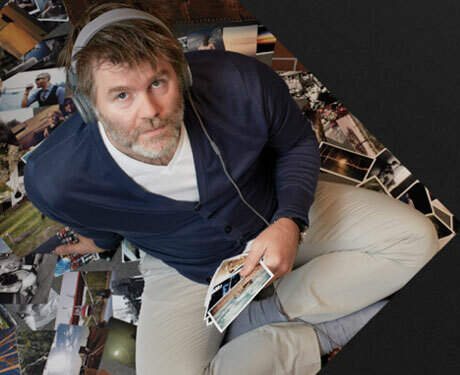 James Murphy "We Used to Dance"